Stockholm is a fascinating city with a history of over 750 (!!) years. It is spread across 14 islands connected by 57 bridges, and each neighborhood has its own unique character. Did you know that Sweden managed to stay neutral during WWII? That is why it was never bombed, and the old town is greatly preserved. 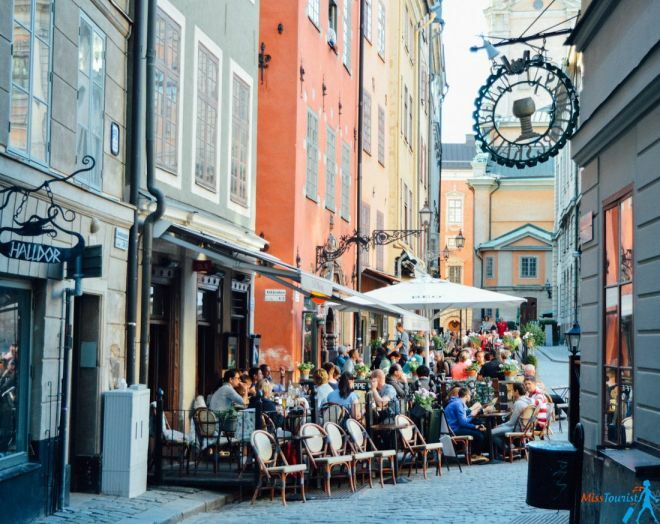 Stockholm is a trend-setting city with inventive cuisine, remarkable museums and pretty parks! 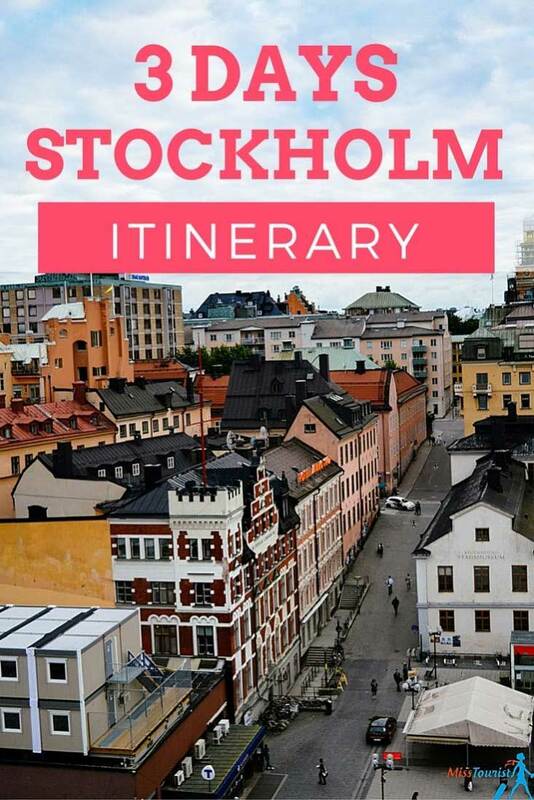 No wonder Stockholm is jam-packed with things to do; it truly has a never ending list! You can easily stay for a week and not run out of things to do. Nevertheless, I chose the best of the best attractions in Stockholm for my three day stay. You can also follow this plan if you have two or one days in the city. Here is my suggested itinerary of things to see in Stockholm if you go at a normal pace and faster pace (check Optional). As I said before, Sweden managed to stay neutral during WW2. What does that mean for us regular tourists? We can now enjoy one of Europe’s best preserved medieval city centers! 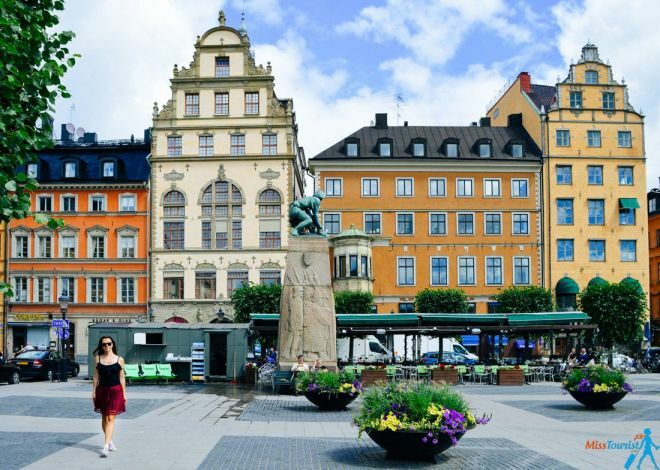 Wander the narrow and winding cobblestone streets, gawk at the beautiful architecture of old colorful buildings, and just spend a couple of hours wondering around Gamla Stan to feel the essence of the city. And don’t forget to Fika! Here, let me explain what Fika is – it is a Swedish type of Spanish siesta, a time of the day when you enjoy a cup of coffee, or tea with local pastries. 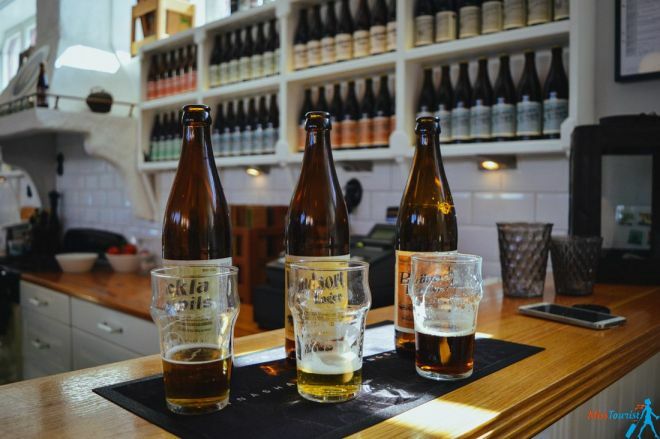 I’m not sure if alcohol is also counted as fika, but if tasting some local craft beer overlooking the Old town sounds like a good idea to you, I have a great place in mind! Kägelbanan was recommended to me by a local friend. I haven’t seen it recommended in any city guide. It is a hip place with a huge selection of beer and a fantastic view! I love the concept of free walking tours, and I usually do one in every city I go! This is the concept – at the end of the tour, you decide how much to tip your guide based on how much you think it was worth for you. A free walking tour will walk you through the main sights in about 2-3 hours. At the same time, you will get to know some funny stories about city life, learn about the so called “Stockholm syndrome” and many more. If you don’t like free walking tours (they can be crowded, true), then this is a great tour as well! If you want to combine it with tasting of some traditional food, here is the right tour for you! OPTION 1 – Consider taking a hop-on/hop-off bus tour. I usually don’t take those double decker bus tours, but I can recommend this one as everything in Stockholm is quite a distance from each other. 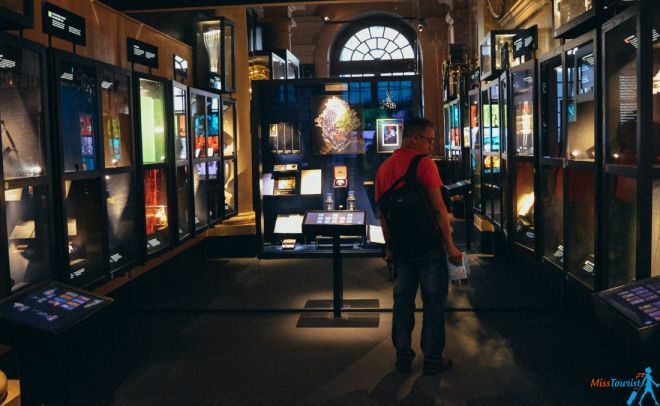 OPTION 2 – If you still have some energy left, go to the Nobel Prize Museum. You will get to know everything about Nobel, his will and stories of people who received the prize. Check out the Grand hotel, which is where the nominee stays before the Nobel Prize ceremony. 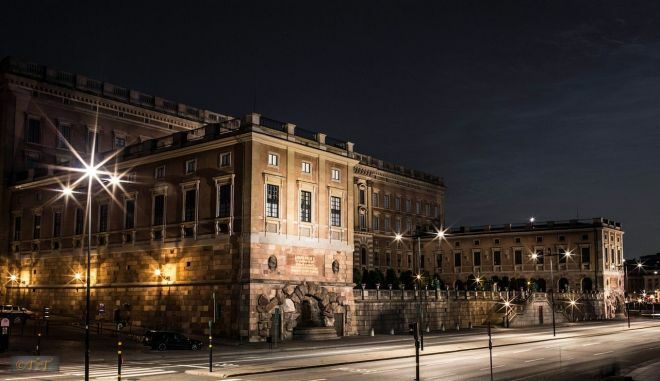 This Royal Palace in Sweden is one of the largest in Europe. With over 600 rooms, it is the official residency to his royal majesty the King of Sweden. Make sure not to miss the changing of the guards in front of the palace. The visit is 16 EUR, but you will get here free of charge if you have your Visit Stockholm card. FUN FACT: Did you know the princess of Sweden got married to her gym trainer? Sweden is truly a country where everyone is equal. A museum Island (just like in Berlin) is a convenient idea for us tourists! Most of the museums are concentrated in one area, yes, literally on the island. To get to the museum island from the Royal Palace (Old Town), I recommend taking a boat (see section about public transport below). This boat is normal public transport in Stockholm; you just have to pay a bus (well, boat) fare. It is a great way to see the city and no need to pay for the boat tour! The island is easily recognizable by roller coasters, you won’t miss it! 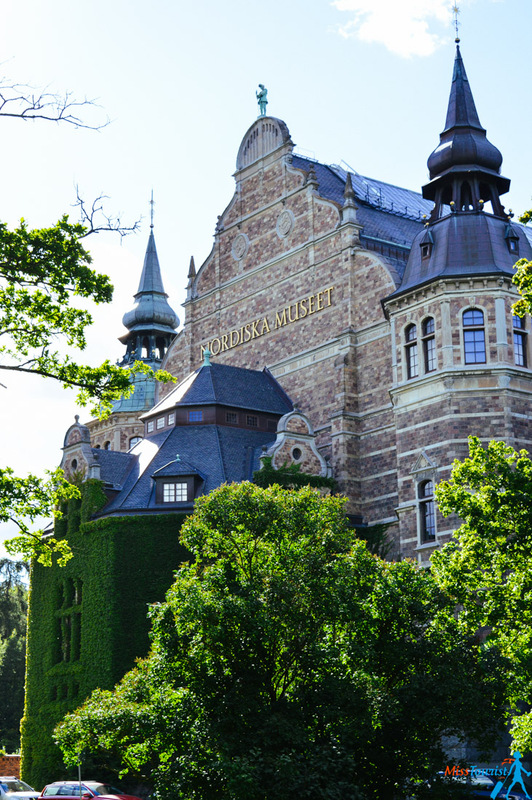 When you’re in Djurgården, take a long stroll around and visit some museums of your choice. 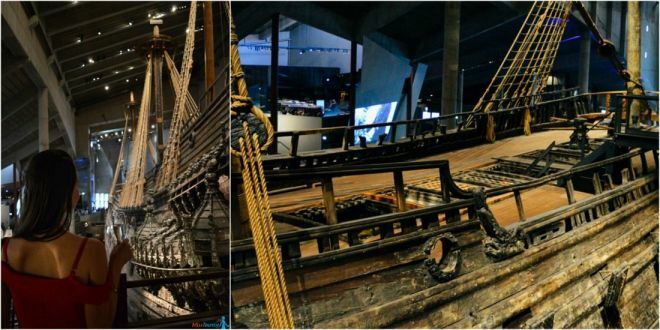 Whatever museums you choose, the main one that should be on your list is, no doubt, the Vasa Museum! When else will you have a chance to see a real functioning, fully preserved huge Viking ship from the 17th century? 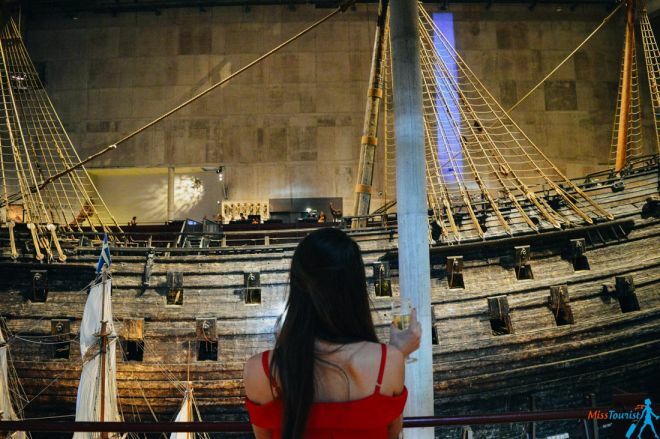 Let me answer that – nowhere, as it is the world’s only preserved 17th century ship. This ship was a beloved boat of King Gustav II Adolf, and he wanted it to be the best in the world. The only problem is that the king loved it too much and the engineers did not dare tell him that it was not very maneuverable and it won’t sail for a long time. And yep, that’s exactly what happened – the ship sank just minutes after setting sail for the first time! Unfortunately, whilst many survived, thirty people died in that catastrophe. 333 years later, it was pulled from the depths of the sea … erm harbor actually, and restored, so that now we can enjoy this impressive structure. Walk around it, you might feel like Jack Sparrow from Pirates of the Caribbean! Here is the schedule of the guided tours in English that is included in the admission. 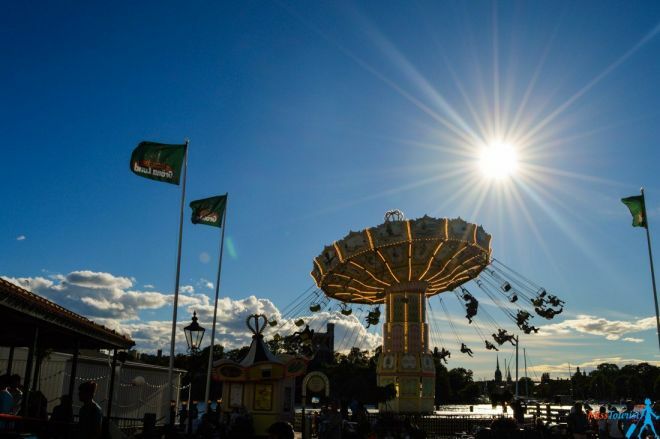 TIP: You can get a Stockholm pass which will cover most of the activities you want to do. It’s a great investment – unlimited access to almost all the activities in the city. It is a bargain if you consider the sky rocket prices for everything in Stockholm. The last three suggestions are great if you are traveling with kids. The Nordic (Nordiska) museum is my favorite – dedicated to the Swedes’ trends and traditions, life and work habits from the 16th century until the present day. I especially liked the clothes collection! It is huge and you can easily spend 2-3 hours there. Don’t forget to take an audio guide, it is free of charge! Free admission on any Wednesday from 5 pm – 8 pm. Guess what, except H&M and Ikea, Sweden exports some good music! 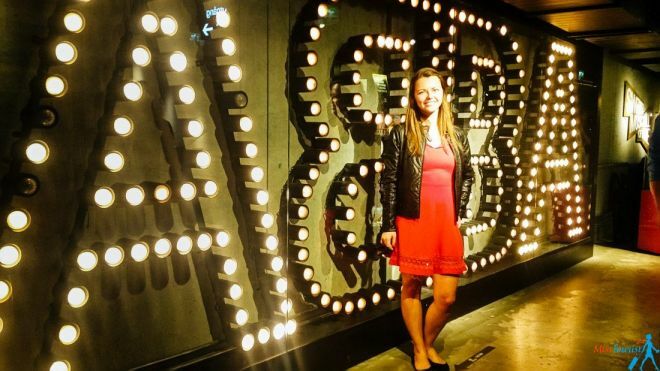 Visit the ABBA museum if you are familiar with the legendary band. ABBA is the icon of the 70s. The museum is very interactive and you can have a lot of fun singing with the band on the stage. Taking a metro in Stockholm is one of those situations where paying for the ticket will get you much more than just point A to point B. In Moscow, we have beautiful metro stations too, but in Stockholm, they are a piece of contemporary art. Which makes it extremely interesting, does it not? Go in the evening, after you visit all the museums etc. I would visit 5-6 stations. 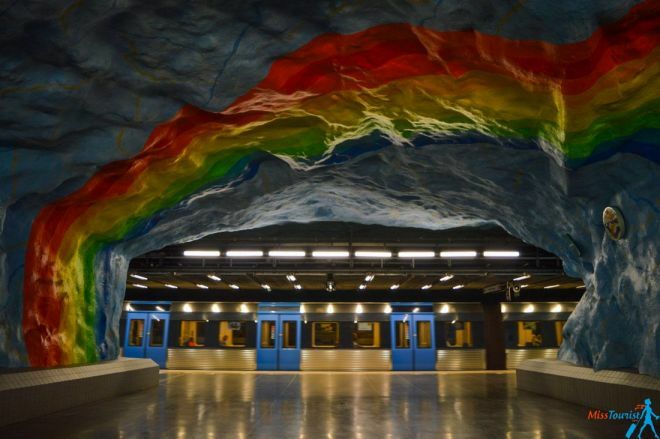 Here is the list of the most beautiful metro stations in Stockholm. 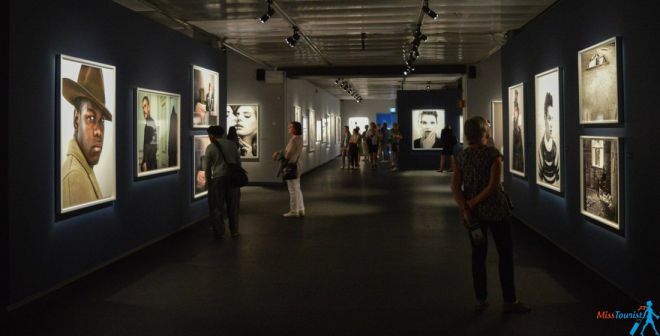 OPTION 1 – Visit the Fotografiska museum if you are interested in photography. Rather than just hanging pictures on the wall, the museum encourages a debate and interaction between the photographer and the visitor. OPTION 2 – For all my Instagram lovers out there – visit Stockholm Public Library, it is known as one of the most beautiful libraries in the world! I wanted to go there, but ran out of time. P.S. If you are traveling with kids you can visit Tivoli amusement park located in the museum island, they will love it! I went in July and it was wonderful. It is crazy how it is light almost for 24 hours during that time! If you go in the winter, probably it will be quite cold for wandering around open air museums etc. But you can always take a hop-on bus tour and discover numerous indoor museums! The public transport in Stockholm is extremely efficient, but not particularly cheap. It is almost always better value to get passes for longer periods than for individual rides. If you are a student or a senior, ask for a 50% discount. The metro will get you to many touristic places, if not, it can be easily substituted by bus. Also, as I mentioned above, there are boats. With over 30 routes, the boats are just like the underground, but over water, it is public transport. The tickets are sold on board and cost a few hundred kronor at the most. See the up-to-date fares here. The fastest option is to use Arlanda express train which will take you less than 20 minutes. Surprisingly, it might also be the cheapest option! Listen up, this is how to reduce the train fare from approximately 28 Eur to just 13. How? Buy tickets for three people or more. I teamed up with a couple that I met at the information point and we got that ticket deal. Please note that this fare is only available from Thursday to Sunday or during any bank holidays. More information on the official website. Also, if you buy the ticket online in advance, you will get a 40% discount. Bus is 40 minutes and about 10 EUR. Regular commuter train is 40 minutes and it is about 17 EUR. I have stayed in the Nordic Light Hotel and can definitely recommend it. It is two steps away from the Stockholm Central station, and when I say two steps away, I actually mean it! When you go out from the station, there is no need to drag your luggage any longer. The hotel is right in front of you! 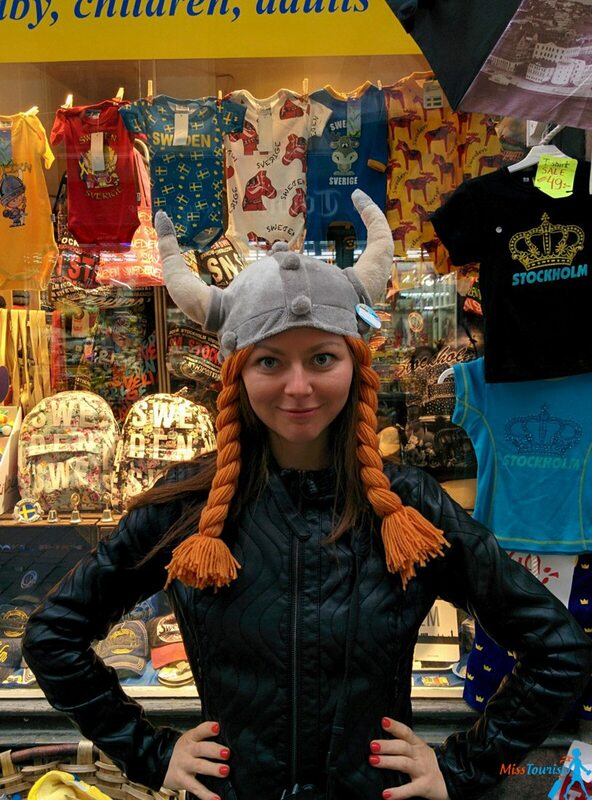 I visited Stockholm for a travel bloggers’ conference called TBEX (Because guess what? We travel bloggers, also have conferences!). I needed to iron something for the conference. One call to the front desk and voila, the ironing board was delivered to my room! The service was beyond fantastic, and so were the breakfasts! Swedes apparently take breakfasts seriously as my hotel had everything! 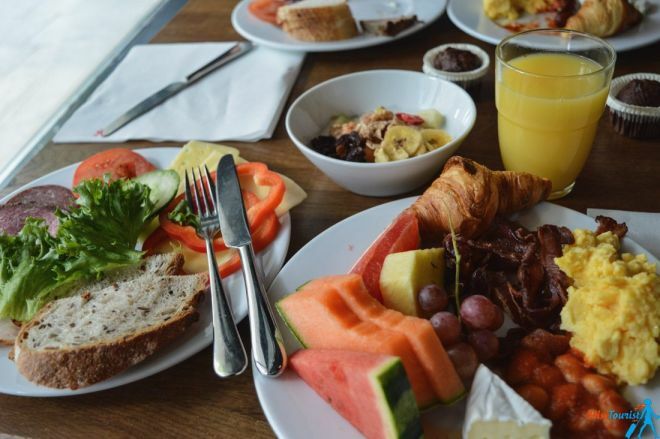 I don’t remember the last time I saw such variety for breakfast in any hotel. Thumbs up for that, Nordic Light! There was even a gym, but as I was tired after the conference, I never managed to use it. Ah, if I come back to Stockholm I will definitely choose this hotel again! 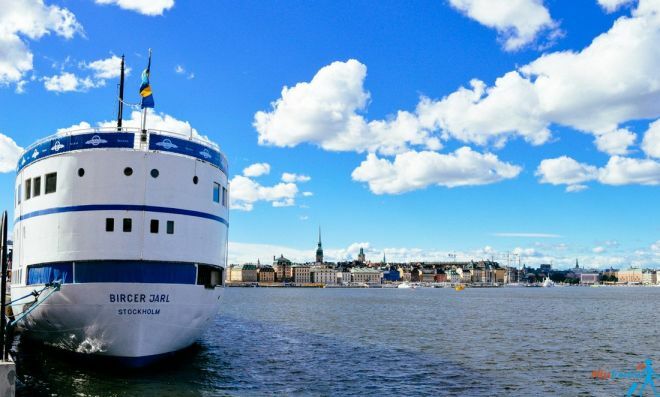 Luxury (US$ 200 and up): Grand Hotel Stockholm has been open since 1874 and has direct view to the Royal Palace and the harbour. Its two Michelin Star restaurant offers guests an experience to remember! Hotel Skeppsholmen is located on a small island away from the busy city and offers a breathtaking view. Located at walking distance away, the Swedish Museum of Modern art awaits. 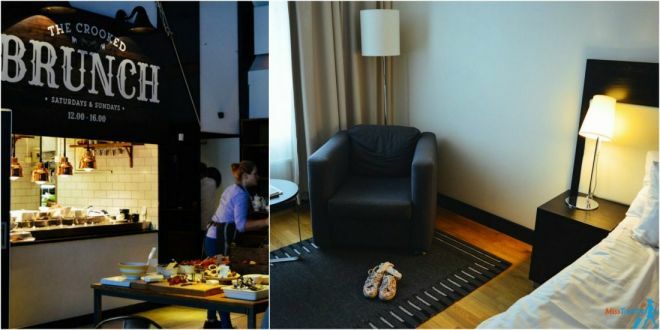 Middle (US$ 100 – 150): Hotell Skeppsbron will give you a unique experience, as it is based in underground galleries in the old city centre. Hotell M/S Monika will offer you the experience of a cruise on the canals, it is built in a harboured wooden ship dating from 1908. Book now, it gets sold out fast! 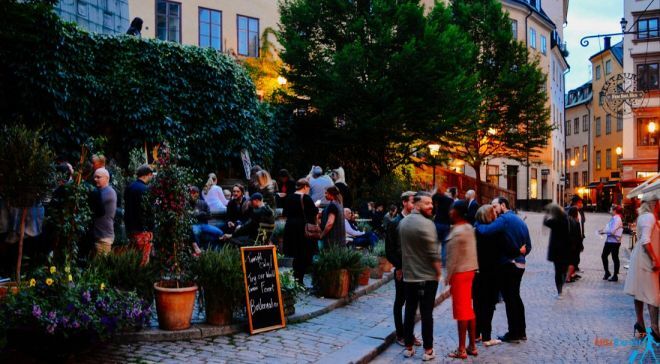 Budget (up to US$100): Hotell Gyllene Geten: if you fancy experiencing the old streets of Stockholm, this is the to go place. Past guests have pointed out the staff is friendly and the experience was wonderful. STF Långholmen Hostel is every nature lover’s dream. The colour green can be seen everywhere and it is situated 1 minute from the beach. Is Stockholm that expensive as they say? Well, if you are from Norway, you will probably find Stockholm cheap, but for us normal travelers, the city can be quite costly. 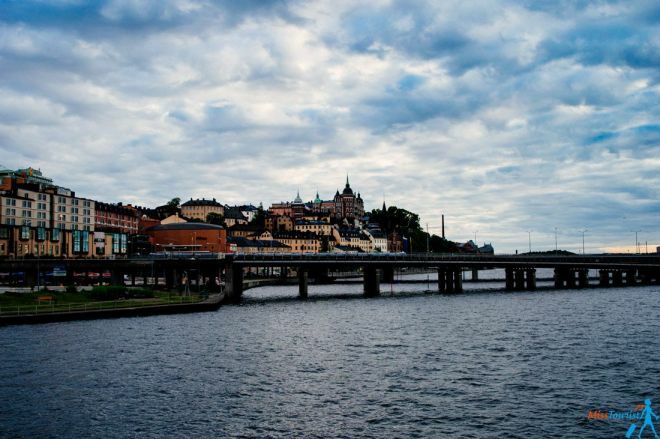 If you are planning to visit many sights, consider the Stockholm pass; it will save you a lot of money! All those places mentioned in the post above will be free of charge for you if you buy the card. 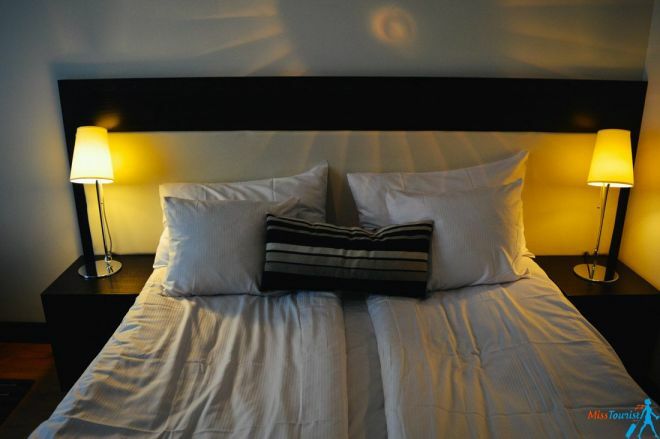 If you get accommodation in advance, it can be quite affordable too. And if you are on a budget, you don’t have to eat out every day. As usual, if you are a student, try to show it everywhere as there are tons of discounts for students! It is quite expensive, true. But it is cool, and well worth visiting. BTW, don’t forget to exchange your money. The currency in Sweden is SEK. (1 USD ~ 9,1 SEK at the moment). There are 30,000 little islands located just 20 minutes away from Stockholm – it is a crime not to pay them a visit! 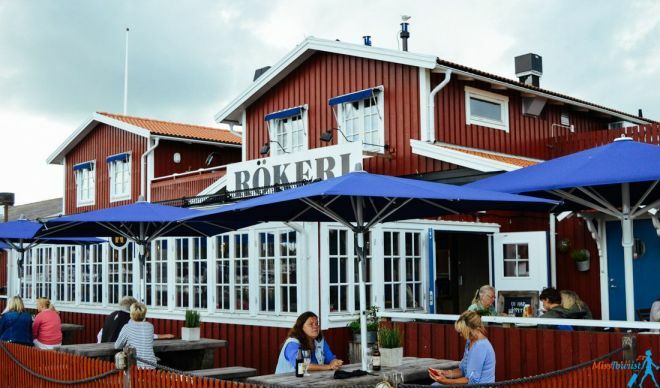 I have been invited to a food tour around Stockholm archipelago and I wanted to share my experience with you. In case you are into food, you can just organize the same tour for yourself! The area where I went is called Nynashamn. It is 40 minutes drive from Stockholm. 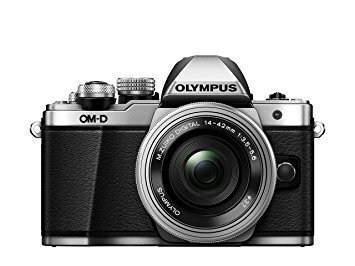 I recommend renting a car (check this link, this site always has the best rates in my experience!). You can get to Nynashamn by public transport, but in order to visit different food places, you will definitely need a car. Plus, it is super pretty and safe to drive in Sweden! Nynashamn is seaside fishing port. The population is just 13,000 people, but it is a food lovers paradise! We started our tour visiting a small award-winning micro-brewery trying four of their beers. Landsort Lager is the one that I liked the most. Later on, during my travels in Sweden, I have seen many places selling Nynäshamns Ångbryggeri (NA) beers, it is popular all over the country. Try their hot smoked salmon – it melts in your mouth, and is probably the best I have ever tried! The store is quite big and has a wide variety of seafood. Try some smoked herrings and shrimps also, yum! I wish I could eat it every day, seriously! No wonder many people from Stockholm regularly drive to Nynäs Rökeri & Fiskhall to stock up, as the quality of the seafood is outstanding! I have never been to a sausage factory, so it was double interesting to see the process. Sorunda Korvfabrik is a small family-owned factory that provides sausages to all corners of Sweden. 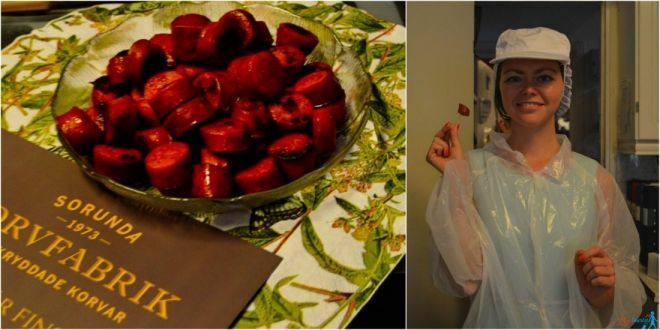 We were shown the whole process of sausage production, how the different tastes are made and so on. Tasting of course will be included in your tour! Garlic sausage was my favorite! Afterwards, we moved on to cheese producers. Gårdsmejeriet Sanda farm is owned by an elderly couple that sold everything a couple of years ago to start a dairy farm. 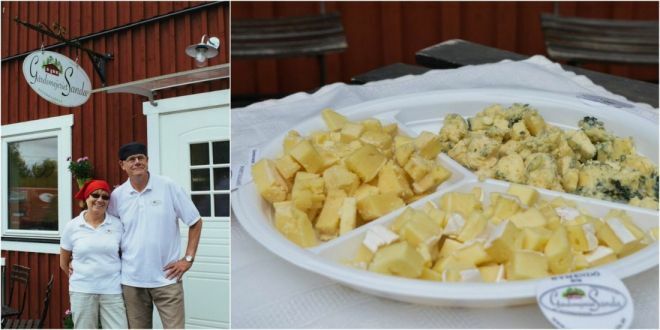 We tried some samples from everything from brie to blue. The cheese was wonderful, very similar to the one produced in France. After all the hard work, it is time to treat yourself with a spa hotel! Apart from the charming architecture and nice view from the room, Nynäs Havsbad has an outdoor sauna with an unforgettable view of the mountains. Relax on the cliffs by the sea chilling in warm water with a beer or a cocktail in your hands and enjoy this view – what can be better? P.S. 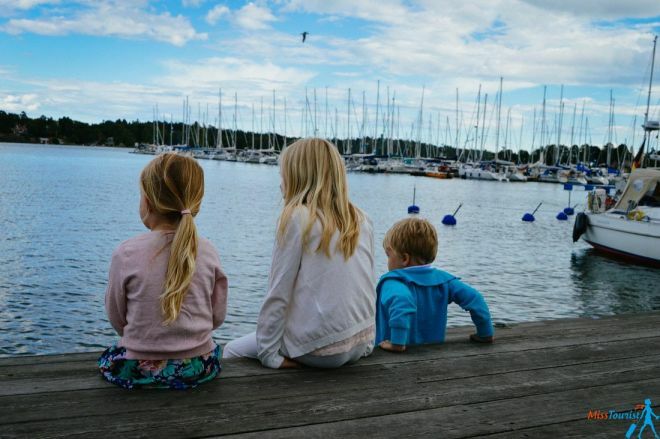 If you want to visit more things in Stockholm archipelago, I have a special blog post for that! It is not only dedicated to food, it has many more recommendations to visit cool things! 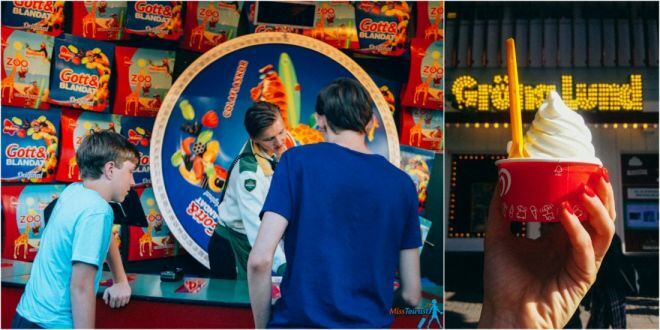 There are so many things to do in the capital of Sweden. No wonder that it attracts so many tourists every year! I also fell for it. Stockholm archipelago is also worth a visit! An awe-inspiring world of islands which has enticed people to fish or farm, go for a swim or indulge in its best cuisine, just like I did! 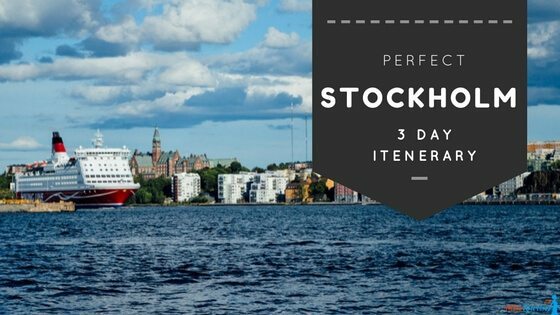 I have tried to sum up my recommendations with the best things to do in Stockholm and wrap it up in a three day itinerary. But as I said, you can easily stay longer and discover more and more reasons to stay. 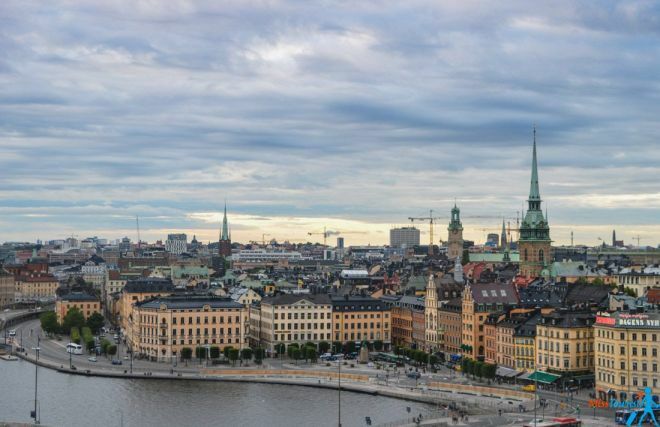 Go discover the city, who knows, maybe you will also feel that Stockholm syndrome? I’ve never been to Stockholm, maybe one day! Thank you for all the useful tips on traveling to Stockholm. 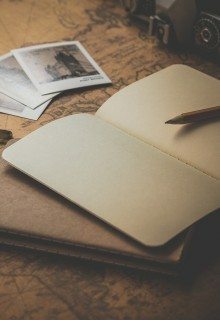 I would love to read your adventures in USA. Hoping you can visit it soon. Cheers from Denver Colorado. Stockholm is a great city! I loved it too! Great itinerary for 3 days!! I read this after not having eaten all day. That last section was just too much! Yum!!! The culinary scene in Sweden is fantastic, thats true! Actually, you can go from Arlanda to Stockholm using only the public transportation and paying only around 8 or 9 Euros (Arlanda-Märsta by bus, Märsta-Stockholm by commutteer train, 44 kr each, for a ‘grand’ total of 40-45 minutes). Or you could by a SL card (20 kr) and load at least 100 kr, and your price per ticket goes down to 31 kr. Thanks for the info, Ona!